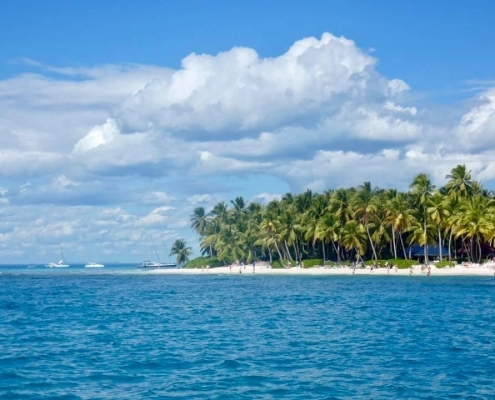 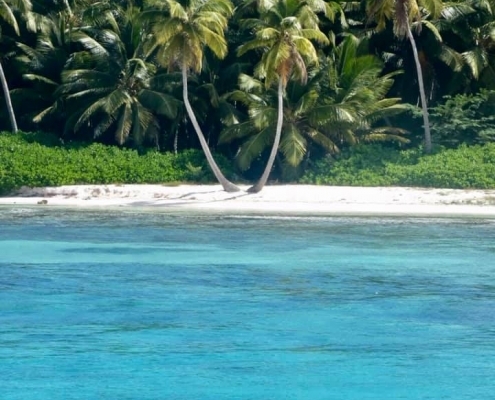 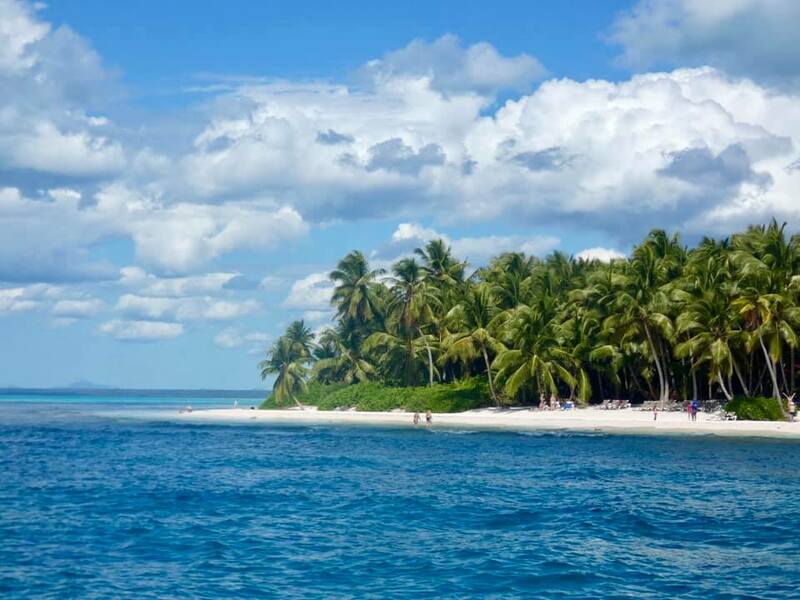 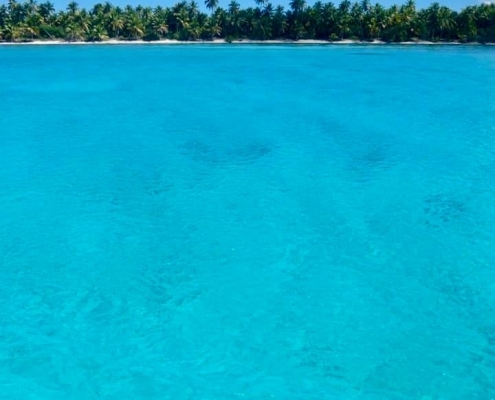 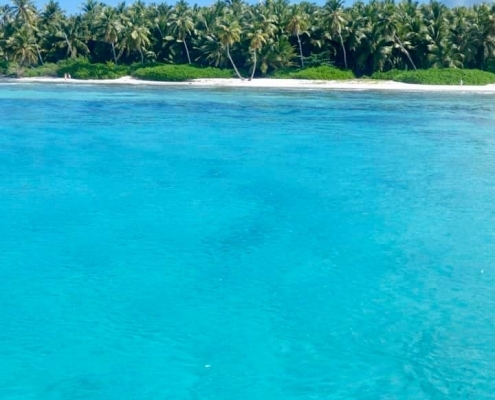 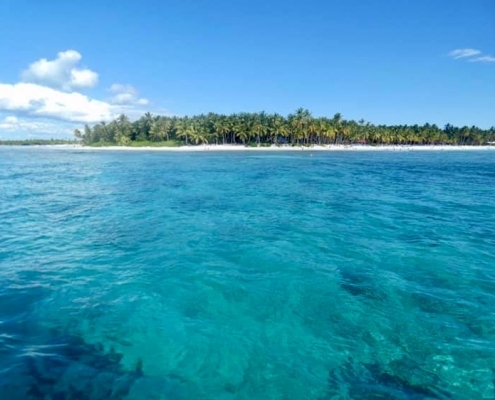 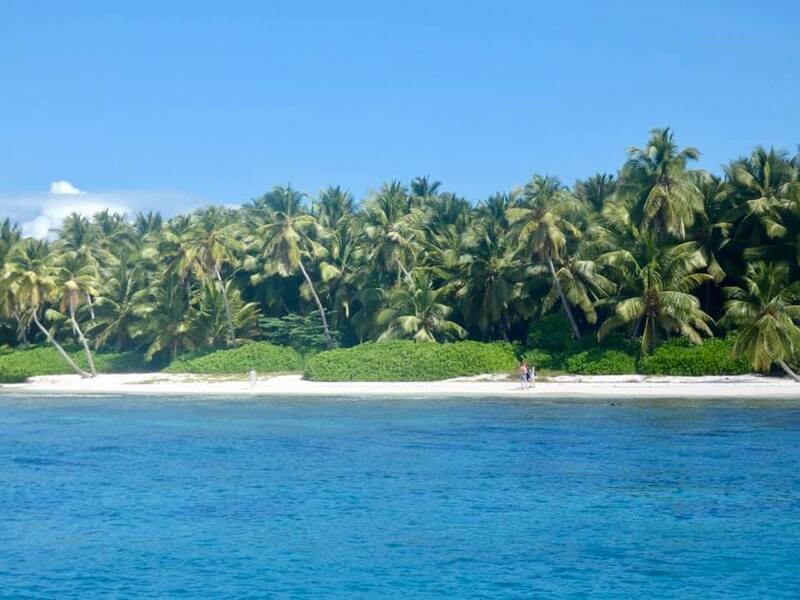 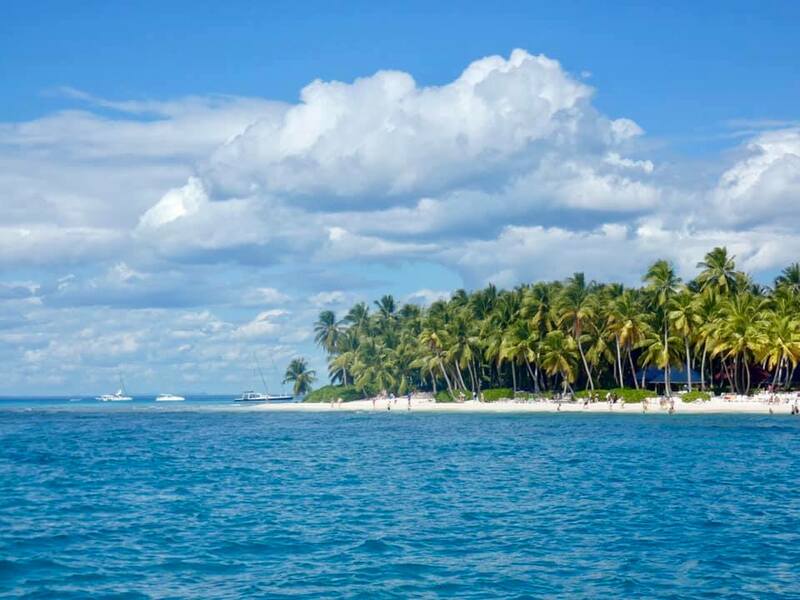 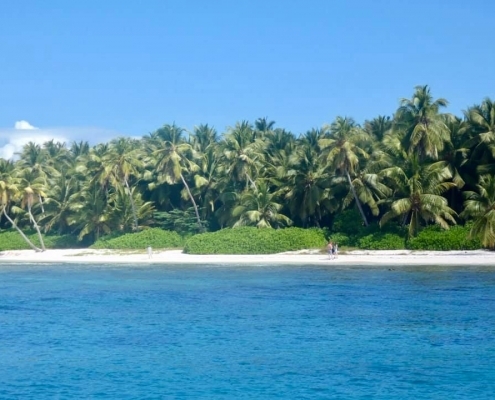 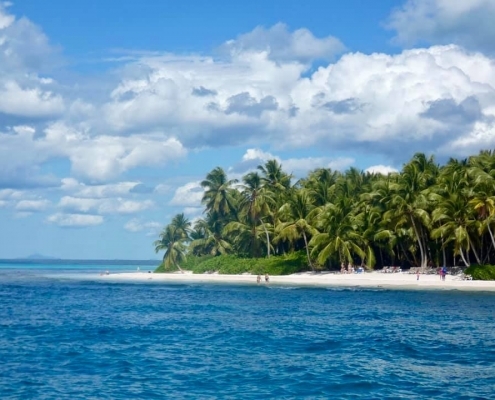 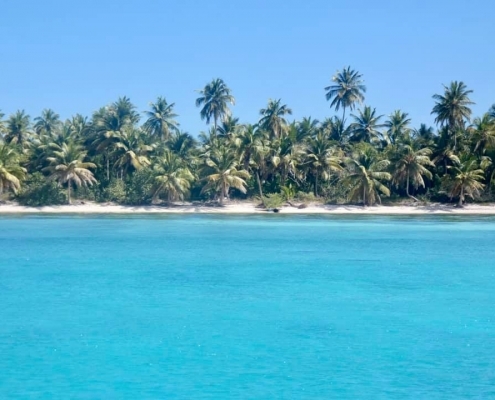 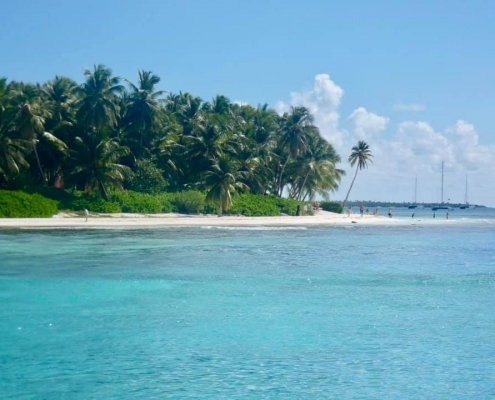 Saona Island is designated a national park and as such no hotels or resorts are allowed on it. 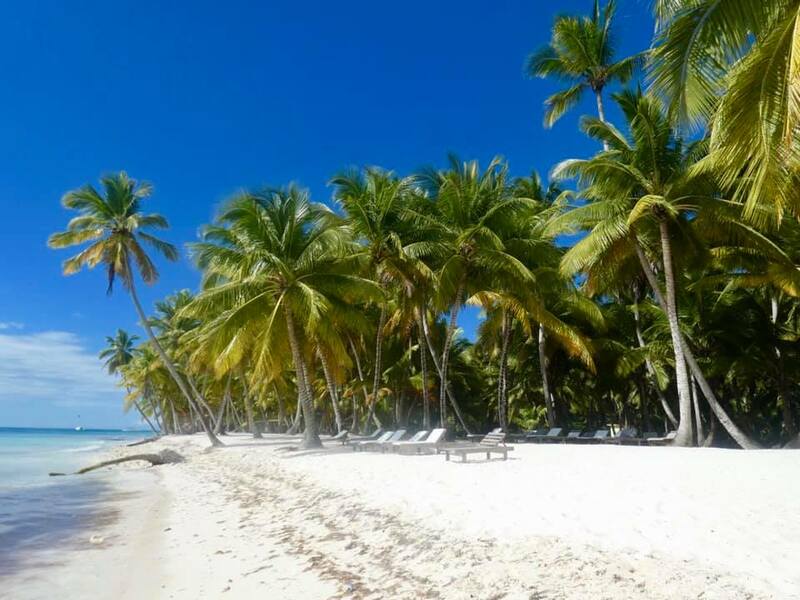 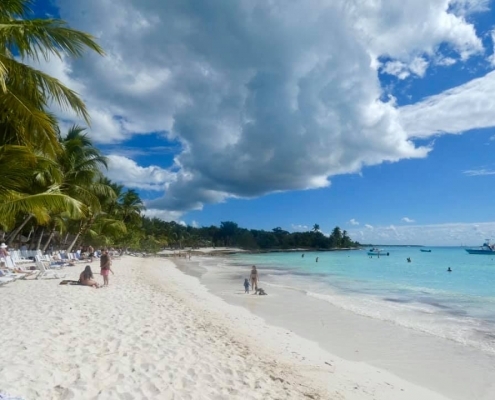 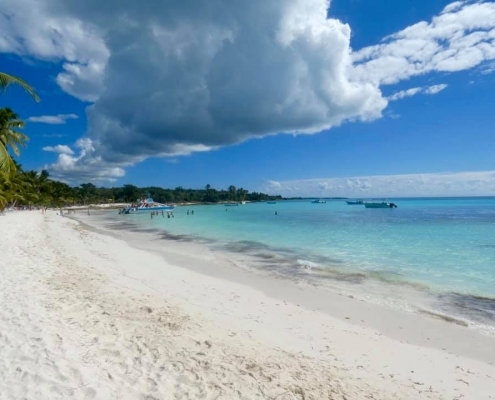 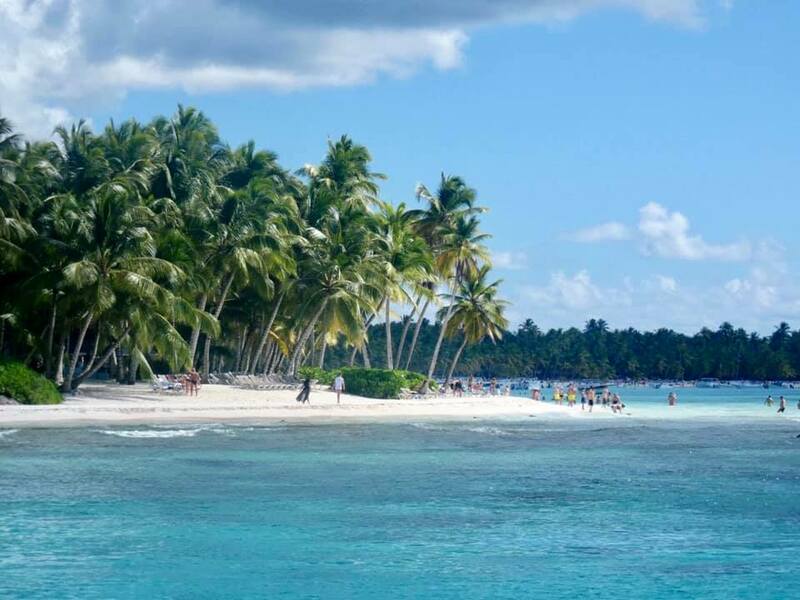 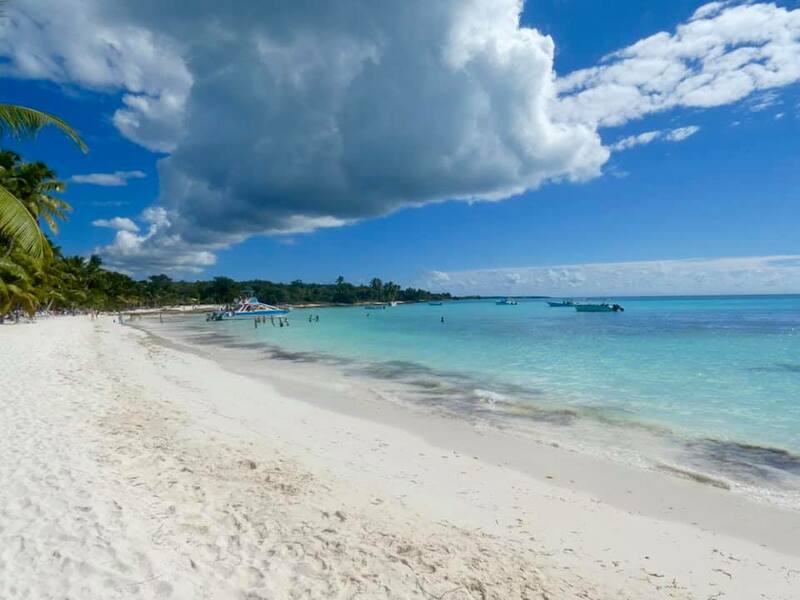 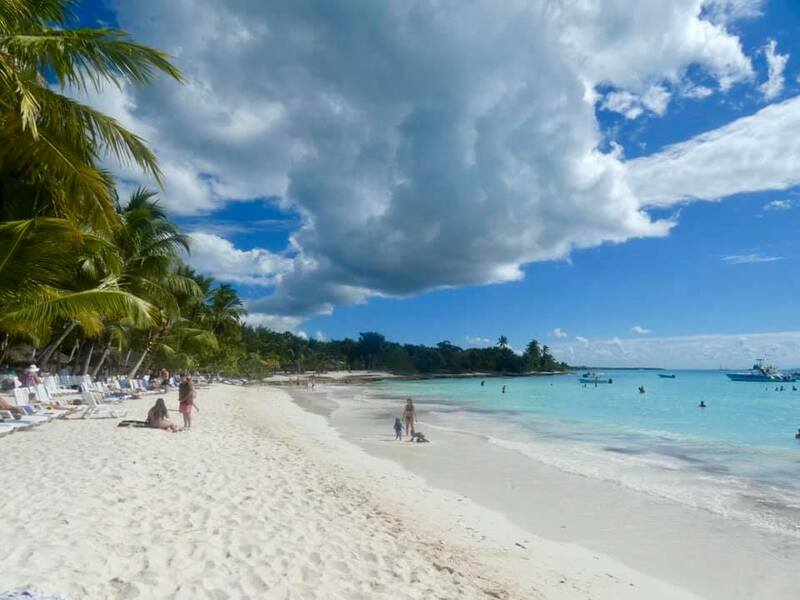 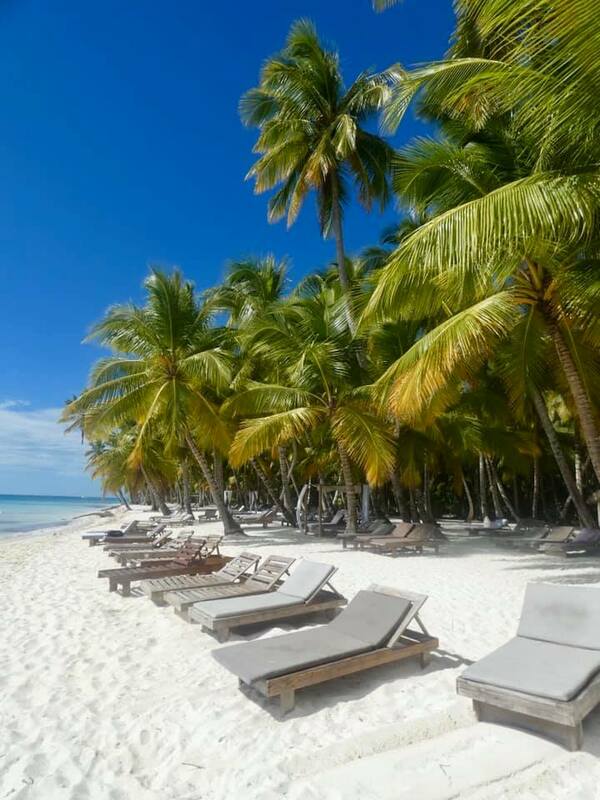 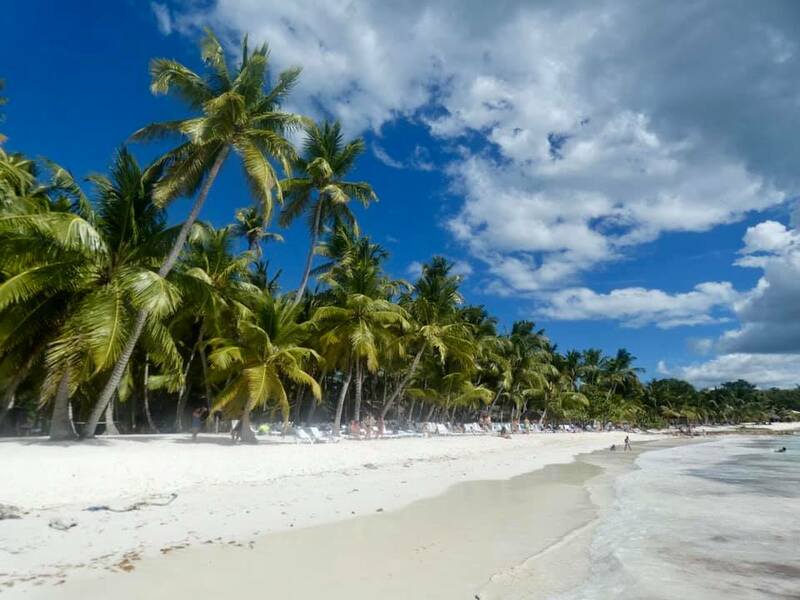 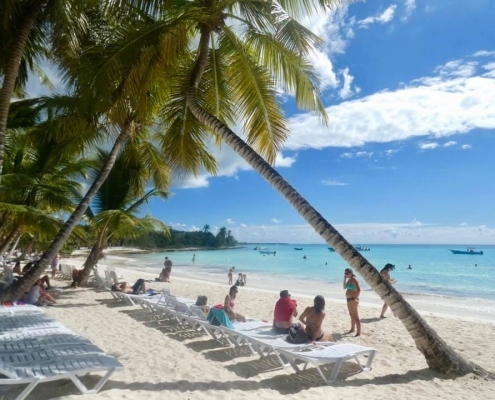 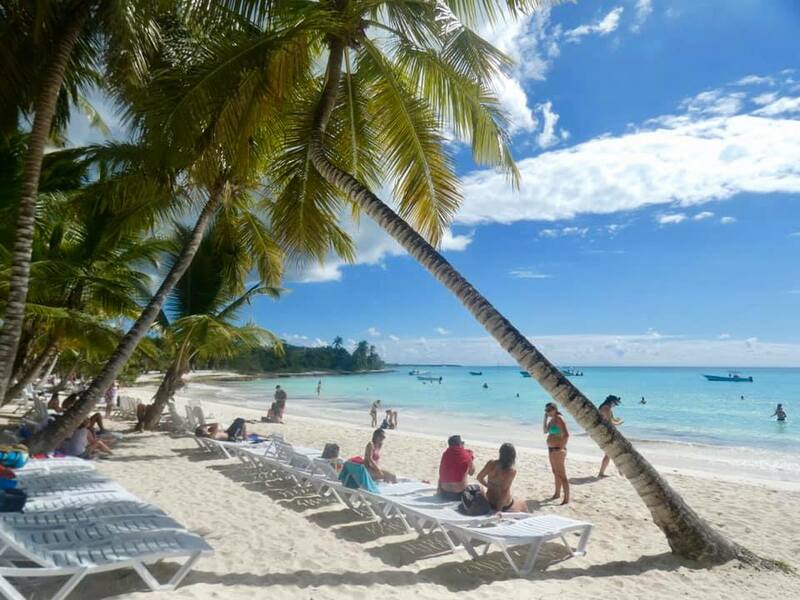 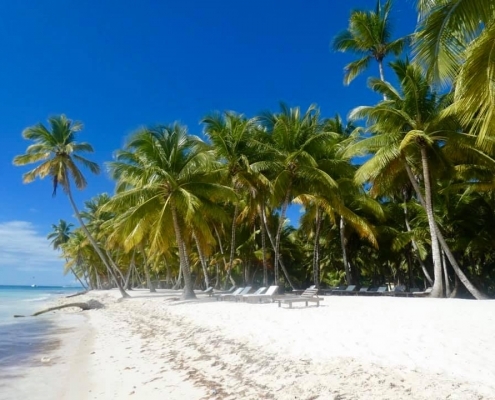 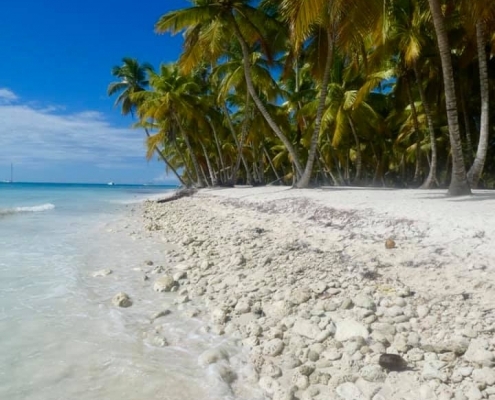 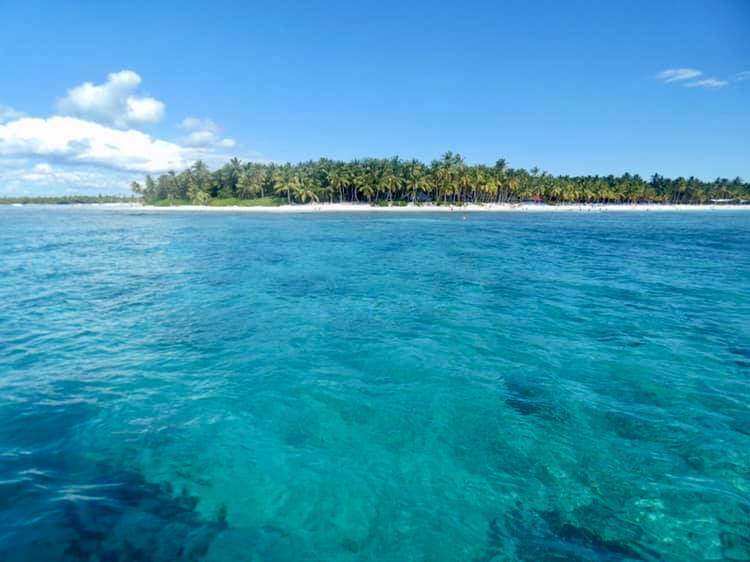 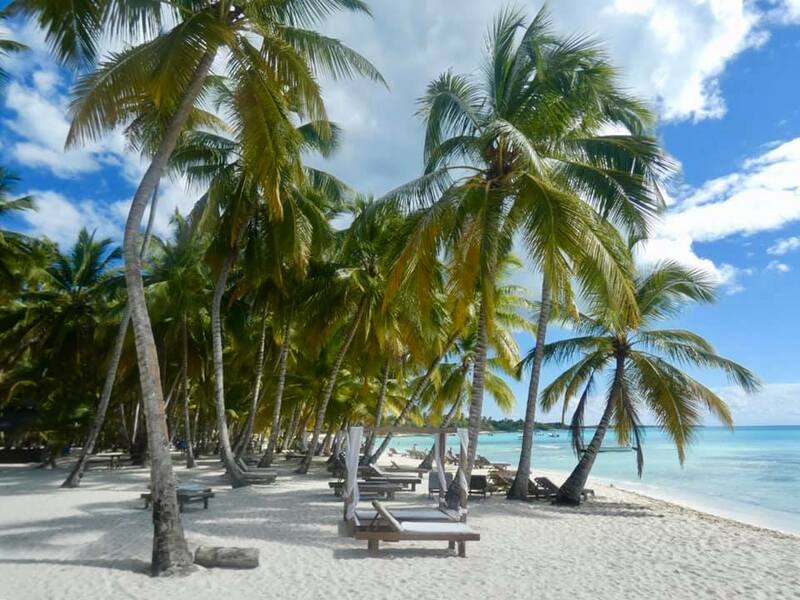 The island boasts some incredible beaches around its southern shore – like Palmina Beach – perhaps the best in the entire Dominican Republic, so many people arrive here on organized day tours where you get to lie on the beach for half a day or so (after or before the bland buffet lunch and unlimited cuba libres). 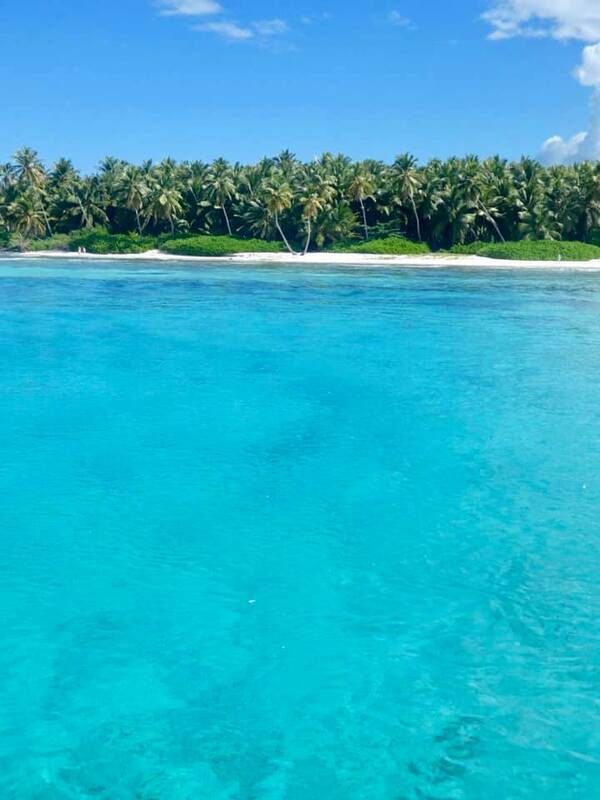 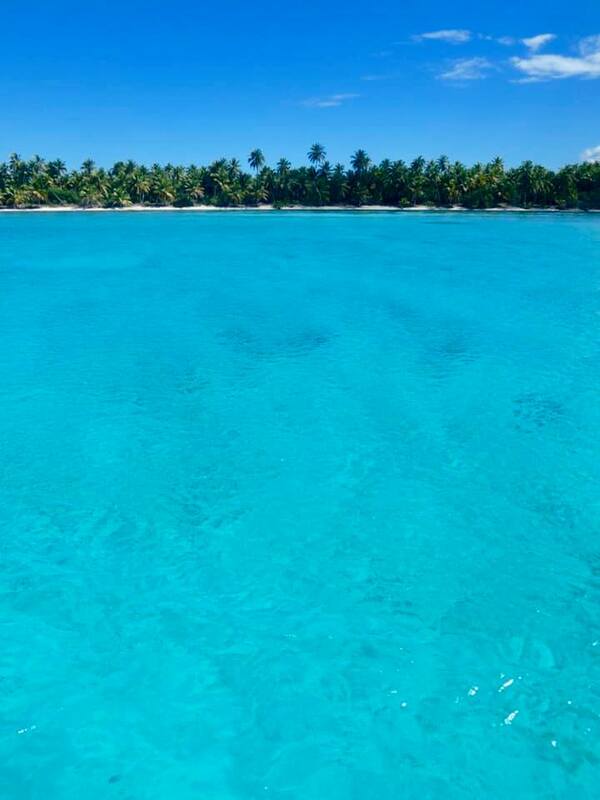 Christopher Columbus named the Island Saona himself on his second voyage to America in 1494. 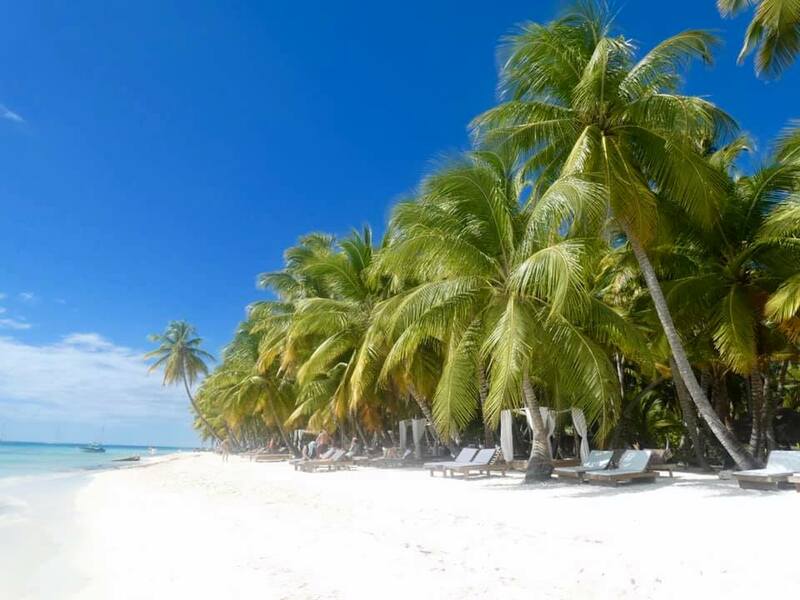 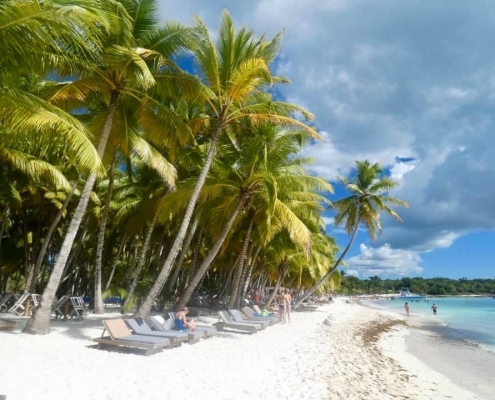 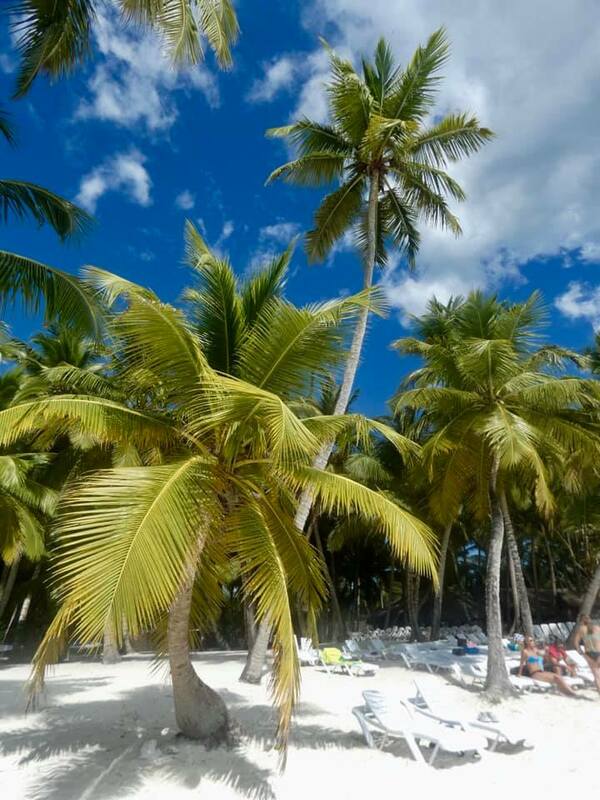 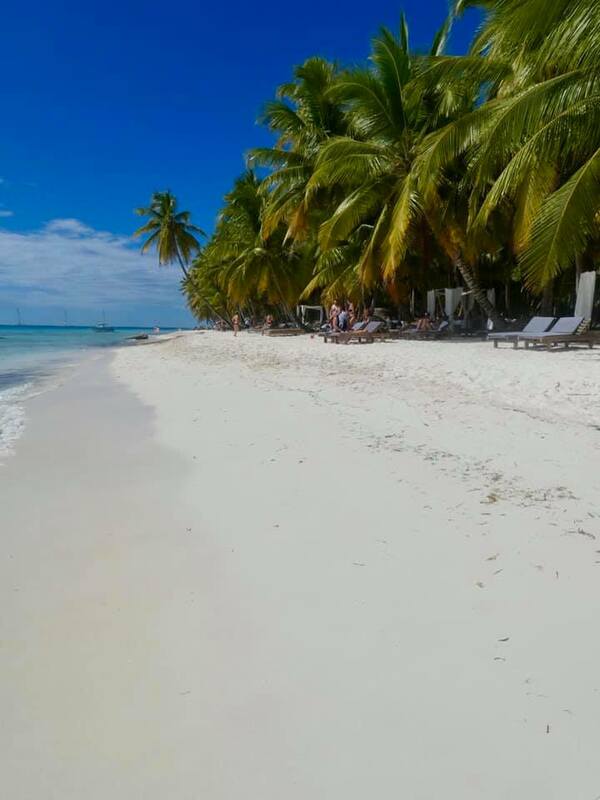 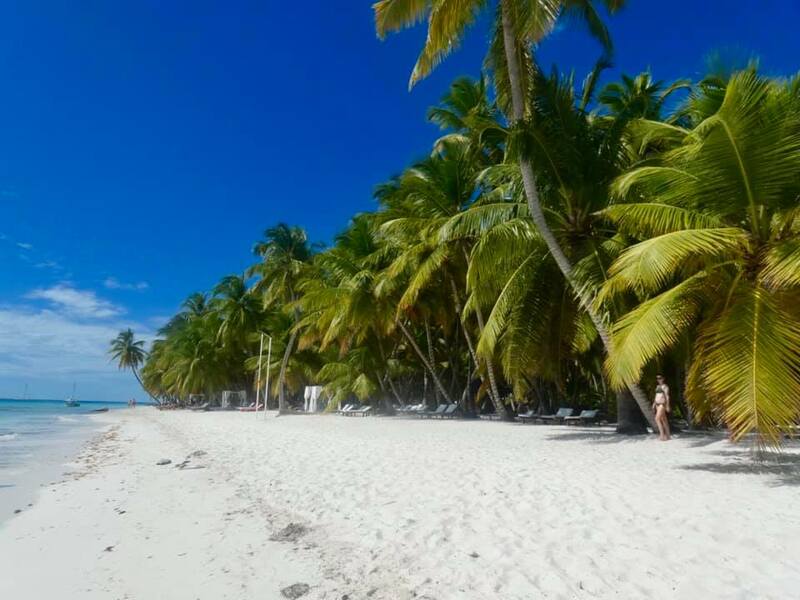 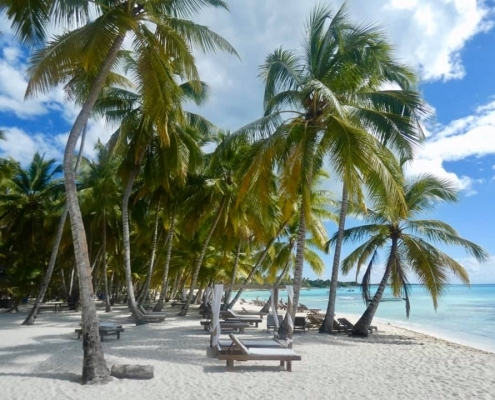 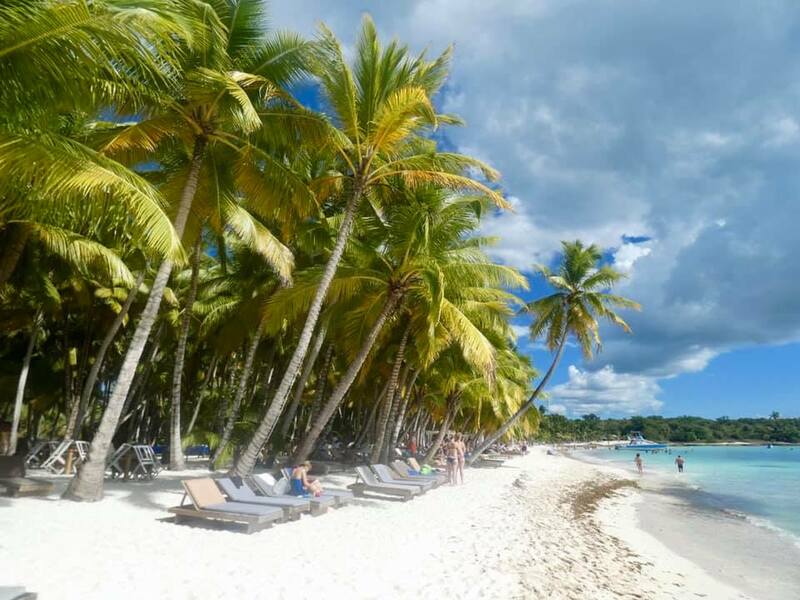 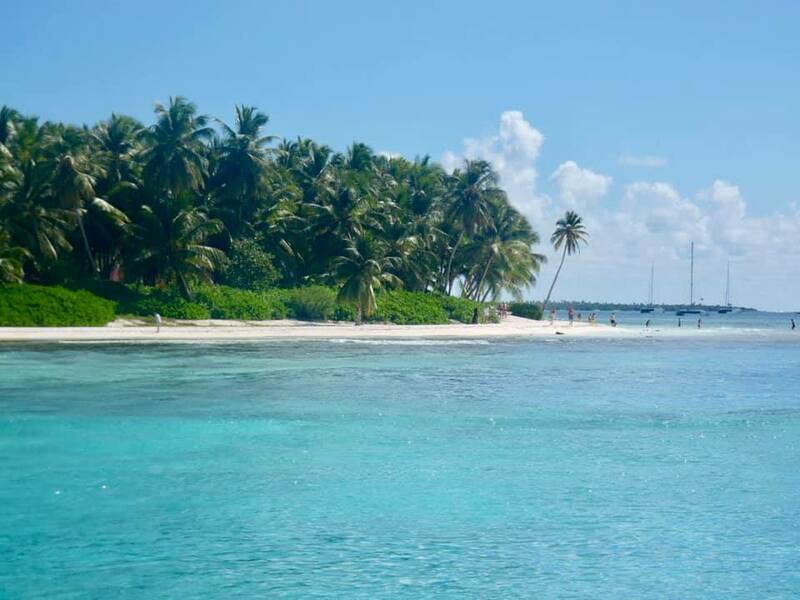 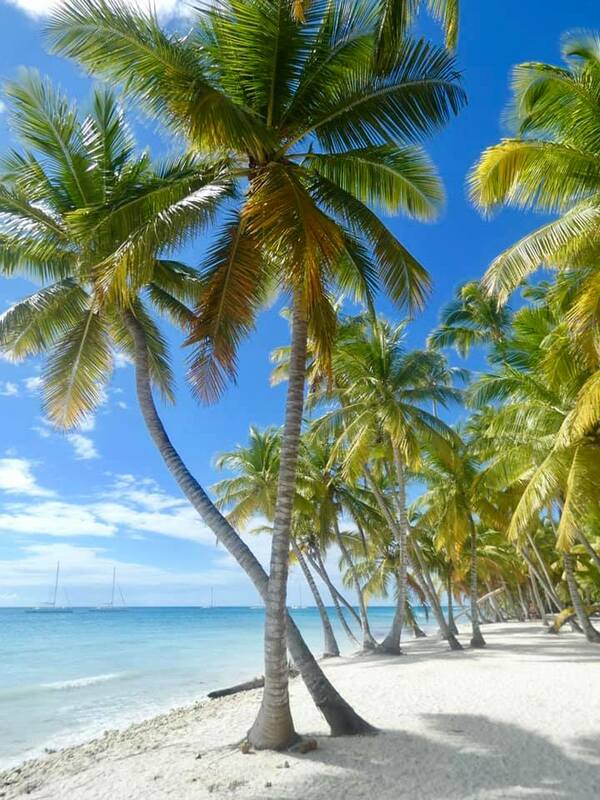 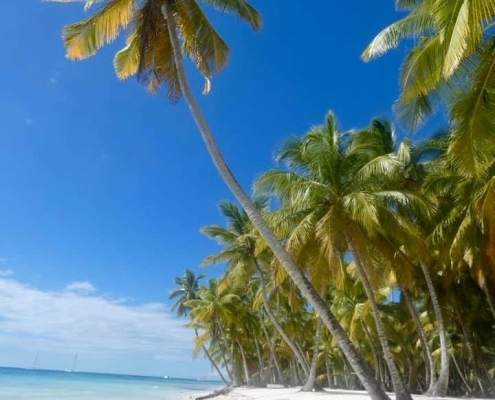 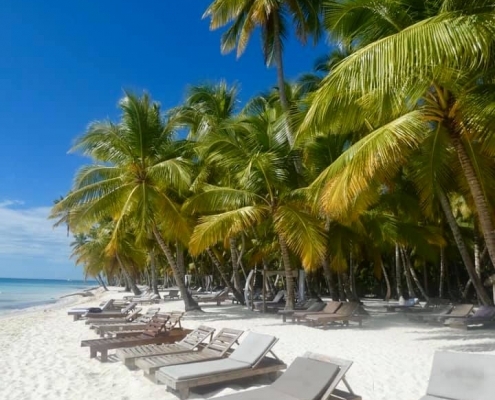 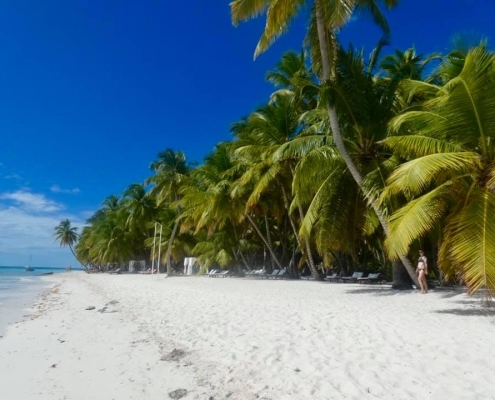 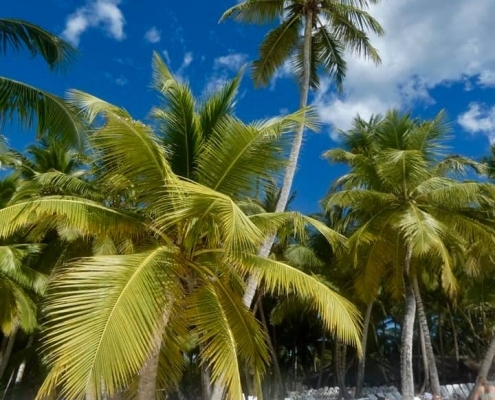 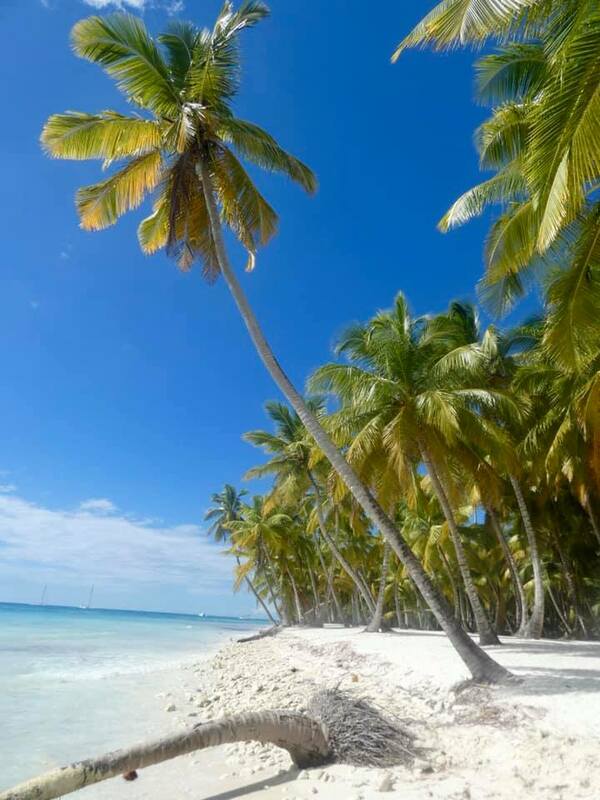 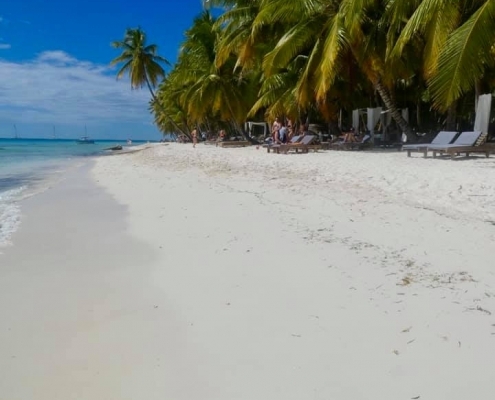 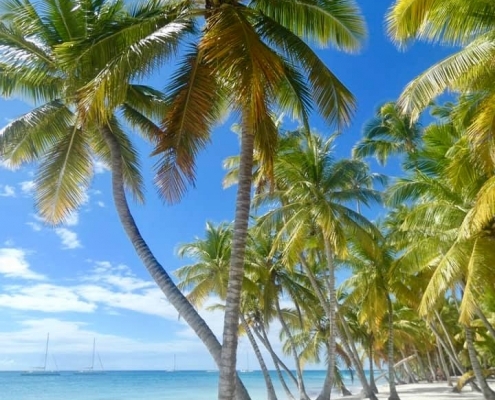 Swaying palms and warm waters of the Caribbean Sea are drawing the crowds here, but it does get a bit annoying with all the tourists and peddlers of all sorts. 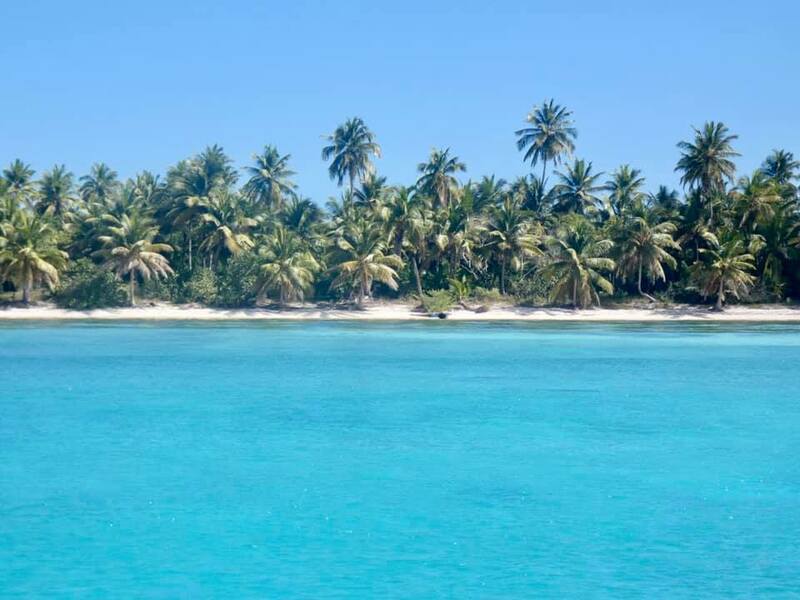 I am just too spoiled with middle-of-nowhere Pacific Islands I guess.